They are for the benefit of other people, and their talents are for the benefit of you. How are you using your God-given gifts to serve others? What are some other ways God might want you to use them for the benefit of others? 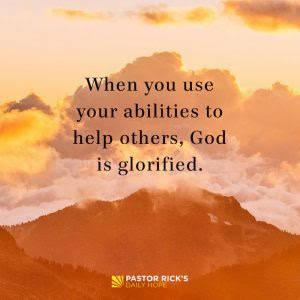 How do you need to accept help from someone so that person is able to use his or her gifts to bring glory to God?